The World War At An End! As of today, May 8, 1945, the Holocaust is officially over! After suffering through over 12 years of this tertiary, it had finally come to an end. It all started January 30, 1933, the day Adolf Hitler was appointed German chancellor, starting the Nazi genocide against the Jews. The Nazi rule in Germany lasted for years, during their rule Jews were consistently persecuted, due to Hitler’s “final solution”, which we call the Holocaust, came together with mass killing centers constructed in the concentration camps in Poland. During this time approximately six million Jews were victims of the Nazi regime murders. Between 1941 and 1945 the Jews were targeted and murdered. The Jews were targeted and murder because Hitler believed that they were responsible for the loss of World War 1 and the Economic Crisis. Although this was untrue, once he put the blame on them many people believed him. 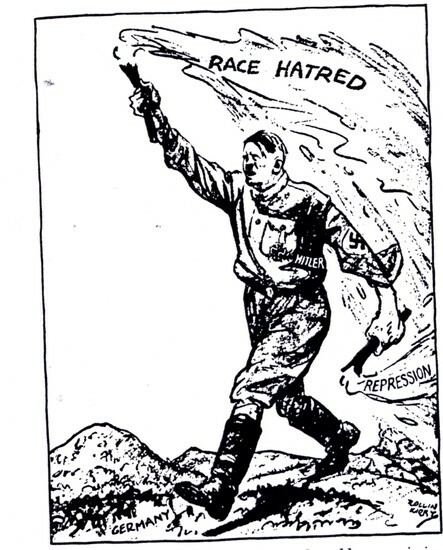 Hitler’s solution to all these problems was to banish the Jews from society. Concentration Camps were put into place in 1933 through 1939, very soon after Hitler was appointed as chancellor. The camps were said to hold “Racially undesirable elements” of German Society such as Jews, Homosexuals, and Romani people. They estimated that 15 million to 20 million people died or were imprisoned in these camps, also known as the Ghetto. 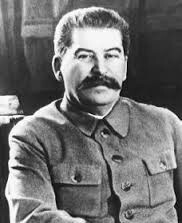 Born on December 18, 1879, in Gori, Georgia, Joseph Stalin rose to power as General Secretary of the Communist Party, becoming a Soviet dictator upon Vladimir Lenin's death. Stalin forced rapid industrialization and the collectivization of agricultural land, resulting in millions dying from famine while others were sent to camps. His Red Army helped defeat Nazi Germany during WWII. Stalin was eventually denounced by his successor, Nikita Khrushchev, in 1956. However, he has found a rekindled popularity among many of Russia's young people. Appeasement in a political context is a diplomatic policy of making political or material concessions to an enemy power in order to avoid conflict. The term is most often applied to the foreign policy of the British Prime Minister Neville Chamberlain towards Nazi Germany between 1937 and 1939. Europe's economy was still recovering from WWI and the effects of the Wall Street Crash. It was thought that a strong, prosperous Germany could help revitalise the economy of these nations. During the 1930s there was a great trade depression and money was tight. With three million people unemployed, the government had to spend money on social welfare rather than weapons and soldiers. Chamberlain wanted to increase the amount of money used for social welfare, so was reluctant to increase military spending.